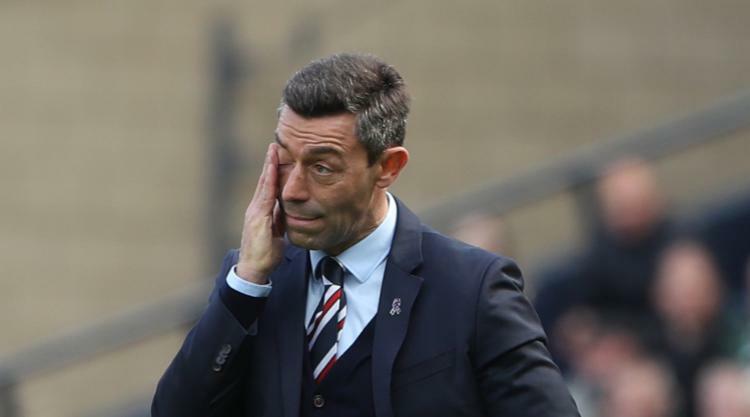 Pedro Caixinha has launched an astonishing attack on his Rangers players after their Betfred Cup semi-final loss to Motherwell, accusing them of embarrassing him, the club and the fans. The under-fire boss did not hold back as he held a post-mortem of Sunday's 2-0 defeat by Stephen Robinson's Steelmen. Just 24 hours on from insisting he would accept responsibility for that Hampden disappointment, he accused his team of lacking the mental strength to cope with playing for Rangers before demanding the players prove they are behind him. Yet Caixinha will give the players who let him down against Well - injured goalkeeper Jak Alnwick and defender Fabio Cardoso apart - a second chance against Kilmarnock on Wednesday. Asked if his players were tough enough to cope with wearing the Light Blue shirt, he said: "It doesn't look like that. "I've already told the players and that's why I'm telling you. I cannot count on Jak for Wednesday because he felt a contusion on his arm. "You have seen Fabio's face (after breaking his nose in a clash with Ryan Bowman on Sunday), so I cannot count on him. "But I've told the players, 'You are embarrassing me, you're embarrassing our club, you're embarrassing our fans. N ow it's time for you to react, and I'm glad we're playing on Wednesday'. "If I could pick the same XI, those guys who didn't do the work who really needed to do it (on Sunday) would start on Wednesday." The manner of Rangers' collapse as they allowed Louis Moult to fire Well into next month's showdown with Celtic will alarm chairman Dave King, who made a rare appearance at Hampden for the match. Caixinha says he has spent much of his seven-month reign trying to pick the players up after a series of let-downs when it mattered most. Now the Portuguese boss - who has yet to register three straight wins since taking over - has demanded his squad rally round him as the pressure mounts. He said: "I expect to be paid the other way around now. These players play for this club, for this badge. These players play for me. "Are they behind me? That's what they need to show. "If they are in a semi-final (with the chance) to make history for this club and they play like that, then something is wrong. "Now they need to prove (themselves). (Sunday) is part of the past, it's been identified, it's been discussed. Let's move forward. Wednesday is the next stage for them to prove it." Rangers' starting line-up at Hampden contained eight of Caixinha summer's recruits, and he acknowledges the buck stops with him. But he hit out at his men for not showing their true potential. "I know the players I have," the 46-year-old said. "I chose them. I assume all the responsibilities, but I want them to do their very best because I know they have it, otherwise I wouldn't pick them up. "I know they're feeling guilty that they should have done much more. "I'm a guy who doesn't like to lose. I go home but I don't get much sleep. But I have a clear mind all the time and I want them to have that clear mind. "So that's why I'm giving them a second chance."